Is Your HOA Getting Soaked by “Free Water”? In the past decade, water and sewer rates have more than doubled across the country. It is the difficult responsibility of the HOA board to not only budget for these rising costs, but to ensure the association is able to pay for the service received. A common approach is to bundle utilities into the monthly HOA fees. Because water is included in the monthly dues, some refer to this practice as “free Water”. “Free water”, while not technically free, can lead to many problems. First, homeowners who pay a flat rate each month tend to use more. Since their monthly charge is the same regardless of consumption, there is no incentive to conserve. Leaky faucets go unrepaired, and water is overused during daily activities like washing dishes or shaving because no one is held accountable for their excess. Also, by charging each homeowner the same amount for water, some are paying more than their fair share, while most pay less. For example, a retired couple who uses their unit as a vacation home will pay the same amount as a family of five who live on property all year. When utilities are wasted by a few homeowners, everyone is affected. Lastly, budgeting relies on predicting the future. 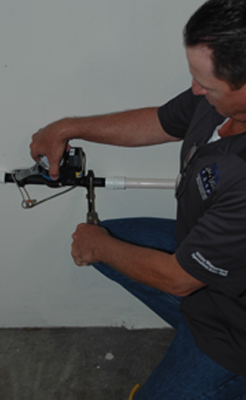 A single, unexpected event, such as an unannounced rate update, a leaky toilet or fixture in a vacant or foreclosed unit, or water loss due to cracks in underground piping can easily break the budget. University Maplewood Townhouses is a 55-unit community located in Coral Springs, Florida. Like many HOAs, water was included in the monthly fees, and the municipal bills were paid from the general fund. In 2012, Board President Jeff Berger noticed a disturbing trend: despite careful planning, the municipal water bill was hovering between $5,000 and $6,000 each month, much higher than the $3,500 per month budgeted by the HOA. If the trend continued, the HOA would not be able to cover their expenses. He and the board faced a choice: take steps immediately to reduce water consumption, or continue to let expenses spiral out of control. The first step Berger took was to identify the source of the excess consumption. He inspected each unit’s clean-out valve and found several units had water gushing out non-stop. The undetected leaks in these units contributed to utility expenses exceeding the annual water budget by more than $19,000. As a result, the HOA was forced to impose a special assessment of $350 to each homeowner to cover the shortfall. After notifying the homeowners of their responsibility to fix the leaks, Berger sought a solution to ensure water would not be an issue going forward. He began to investigate submetering. Submetering allows an association to account for each unit’s usage in measurable terms. 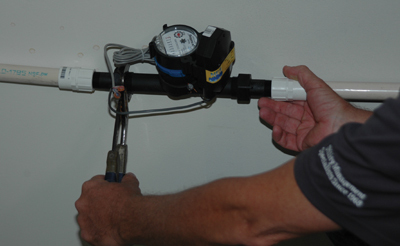 A water meter about the size of a football is installed in each unit on the existing water lines, and each meter is read by a contracted third party. The third-party vendor can report the usage to the HOA with options for billing and collections. By fairly billing each resident for their portion, submetering promotes conservation and offsets the expense of the municipal bill. The individual meters ensure that each unit pays only for its actual usage. After selecting a vendor, the board brought a submetering proposal to the HOA. “Initially, there was some resistance,” Berger recalled. “I went around personally and explained to everyone what was going on.” With the special assessment still fresh in their minds, more than 75 percent of homeowners approved the project. After the installation was complete, Berger and the board used the first few months of meter reads to show each unit owner how much water they were using, and where they might conserve. When the first submetered bills were issued, the community’s water charges had already dropped almost 40 percent, due to conservation efforts. During the first year of submetered billing, the community’s water charges fell an additional 25 percent. In 2012, water expense was budgeted at $63.64 per unit per month, with the actual water cost being $92.80. Today, the average monthly cost is $40.67 per unit. By unbundling the water and reducing the community’s overall use, the HOA was able to lower HOA fees from $305 monthly to $195 a month, as well as build a reserve for community improvements and repairs. Berger believes the positive benefits of submetering have contributed to the increase in property values, which have almost doubled in the last three years. When asked how the homeowner’s view the submetering program, Berger replied, “Everyone agrees it’s the greatest thing we’ve done. It’s been a total win-win, all the way.” And how does Berger see things? “If I think of the greatest things I’ve accomplished in those nine years on the board, submetering is at the top of the list!” Berger states. Water and sewer costs are one of the largest operating expenses for any community, but it is one of the easiest to control. “Free water” is unpredictable and prone to waste. Submetering promotes accountability and conservation, which is good for the environment and the association’s bottom line. 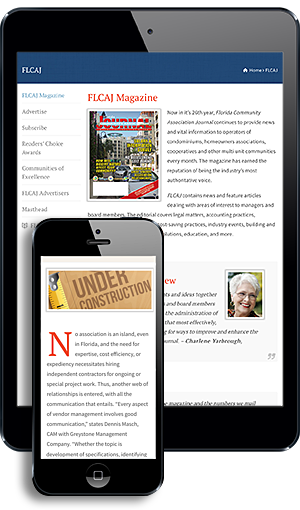 • Ensure the equipment they use is non-proprietary, so customers and future vendors can read it. • Make sure they have a Compliance Department that knows and follows the laws that regulate utility billing for your area. • Confirm that they offer Web-based reporting, available 24/7 and on-site or Web-based training with your own personal representative. • Verify that they have the ability to interface with most Windows and Web-based rent roll programs. • Confirm that they have a bilingual Collection Department that will customize a collection plan to meet your specific needs. Ensure that your vendor invoices only for late fees that they have collected. Teresa Smetzer is the VP of Business Development, Condominiums/Town Homes/HOAs at National Exemption Service in Safety Harbor, Florida. Smetzer joined National Exemption Service in 2005 after 20 years in the banking industry. She is an active member of CAI and is the only licensed submetering Community Association Managers CE Provider. You may contact Smetzer at (800) 572-7060 or tsmetzer@submeter.com. Or for more information on submetering, visit www.submeter.com.